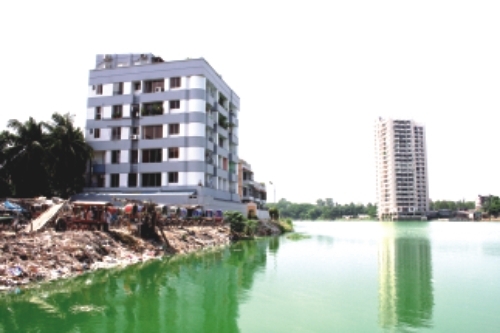 The area in and around Gulshan, Banani and Baridhara has always been Dhaka's most exclusive residential haven mainly because of the pristine lake that used to encircle these neighbourhoods. But the curse of encroachment has led to the disappearance of large portions of the lake. Whatever is left is also being threatened by land-grabbing and rampant pollution, killing the aquatic life in the lake and endangering its ecological balance. The bad news does not end here. Large-scale encroachment has also led to the lowering of the ground level of surrounding land and have adversely affected ground water. With so much at stake, saving the Gulshan-Banani-Baridhara Lake should be the most crucial task for the government and the residents of this area. SWM gives a glimpse of how vulnerable this vital water body has become and explores possible ways to save it.